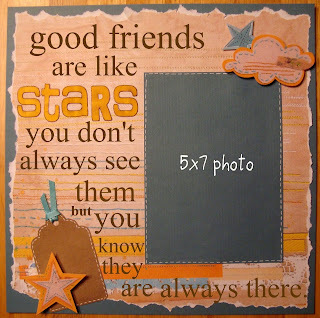 The Paper Variety: Friendship Challenge! 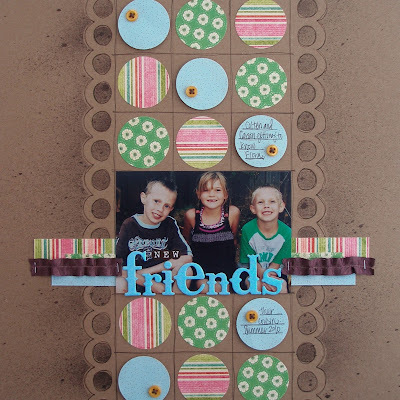 Let this piece of wise decor inspire your creativity with a friendship card, layout or project. Use the quote as your journaling or sentiment - or substitute your own favorite friendship saying. I am so excited to announce a new sponsor to The Paper Variety - Crop Chocolate!! They will generously award this week's prize to one lucky submission. Wow! That's sweet enough to share with a friend ;) Be sure to check back Friday for more information on Crop Chocolate! Now, see what our AMAZING designers created for this challenge. Melissa said she "challenged herself" to use Echo Park's Wintertime collection in a different way. Love the result! 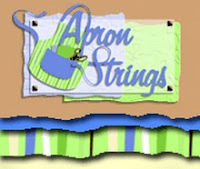 Jan said, "Whenever I see a stitching sampler like the inspiration piece, my mind goes back to the time when cross stitching was my "go to" hobby. ﻿I loved working with needle and thread and truth be told, I still love the hoops. I decided I wanted to use one for my layout this week. These two are cousins, but friends too. They love to get together to hang out and play. 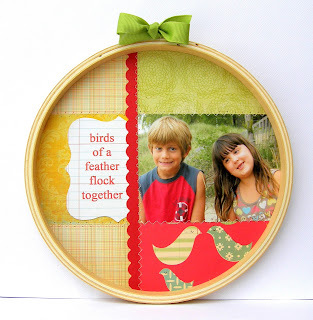 I love the bird paper by Cosmo Cricket and it, along with this cute photo of Brian and Maggie, inspired my quote." Mindy said, "I loved the inspiration quote, but I have so many other favorites too that I couldn't choose :D So I came up with a way to put them & some of my closest friends together!" Patti said, "I recycled a wall hanging in my bedroom to make this quote wall art. I altered five small clipboards with some of my short, favorite quotes, and then mounted them to the inside of the original wall hanging, which I painted black. It was my goal to keep this project simple so that the quotes would remain the focal point." 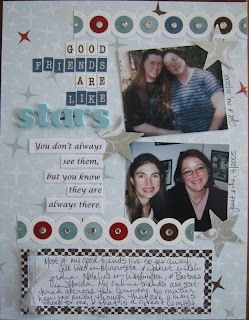 Tessa said, "The quotation inspired me to think about friends we don't get to see very often. My husband's cousin has three great kiddos that my boys just love to play with. We hadn't seen them in a very long time until this past summer, when we got reacquainted at a pool party. It was like making new friends all over again, and now that they are a little bit older, my boys remember their cousins and ask about them all the time." 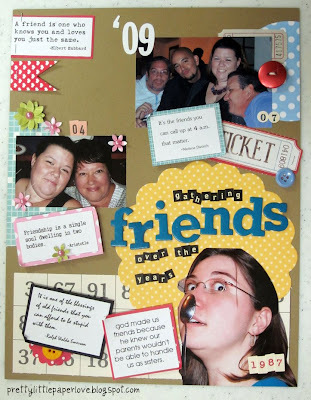 Are you inspired to create a friendship project? 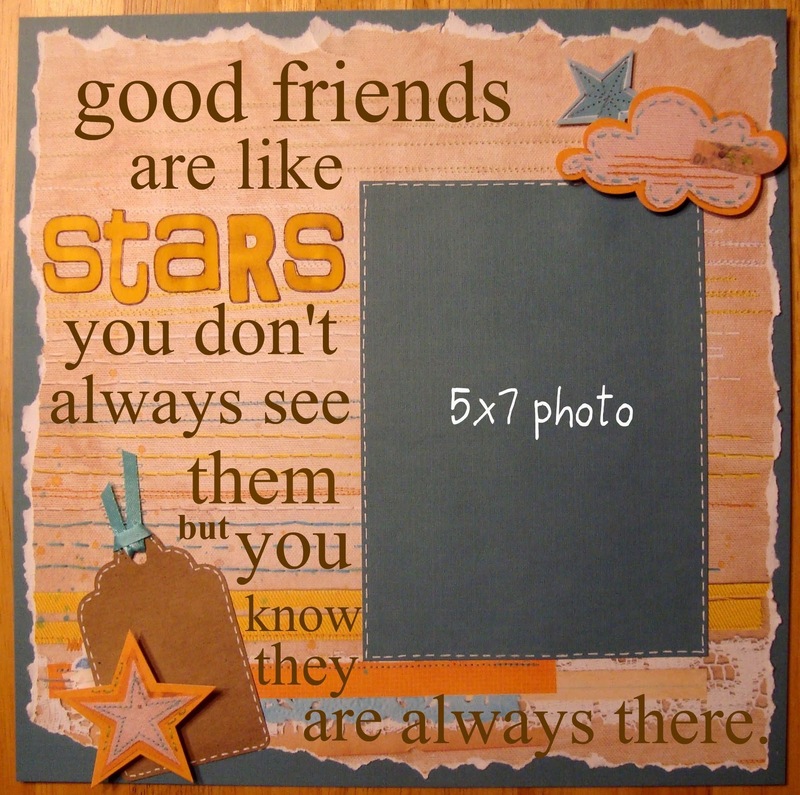 Use the following quote (or another favorite) as the "theme" of your card, layout or other paper art. Link your project before Sunday evening for an opportunity to be featured for our "Submission Spotlight". However, you have until Tuesday at NOON eastern time to win a $50 gift certificate to Crop Chocolate! One entry per person please. Review the rest of our guidelines here. Loving this challenge ladies and everyone rocked it!! Great work ladies! Hey Jan, I know that little girl in your project! :) She was just at my house about 30 minutes ago! Love this quote! Great work DT! i lvoe the framed sentiment and the clipboards.....my goodness....there's tons of talent! 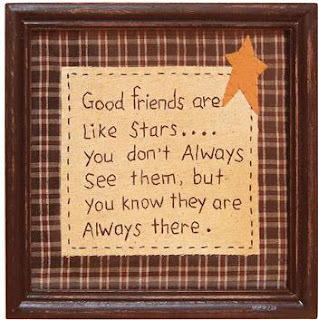 love this quote...I immediately thought of my sisters - my best friends. I love all these layouts and the card. Love the examples! And I LOVE Crop Chocolate! I hope to complete this challenge!! Wahoo! Got mine done! Perfect timing on this challenge for me! I loved this challenge! 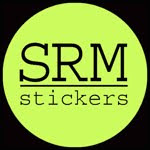 Please check out my take on my blog!! Thanks for the inspiration for this challenge! I've never linked before and messed it up somewhere along the process, here is the correct link to blog. I tried to find the perfect quote about me and my girlfriends and couldn't quite find it so I made up my own. I hope that still counts :) Thanks for the inspiration!! !